Marbella was built in 2005. This high rise is another premier piece of Jacksonville Beach real estate. It is located between 9th Avenue South and 10th Avenue South. This oceanfront property is exclusive! There are only two homes per floor, each with direct elevator access. 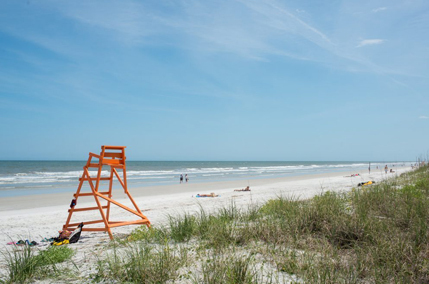 Marbella Condos for sale are rare and represent the finest in the Jacksonville Beach condos for sale market. There are 22 units total and 12 floors. All of the units are over 4000 square feet of high-end luxury. Marbella has a gym, social room, pool and 24-hour security. One of the most unique features of the Marbella oceanfront condos are the enormous terraces. There is nothing quite like them in Northeast Florida. If you drive down 1st Street in Jacksonville Beach Starting from Beach Boulevard and heading south, you will start to get a feel for the high rise buildings in this particular section. Marbella is next door to Costa Verano and south of Acquilis. Restaurants of note nearby are 11 South and Roy’s.